There are two terms in digital photography that signify two very different kinds of cameras. The terms are compact, and full-frame. The former defines those cheap, pocketable point-and-shoots, while the latter is a feature only found on the most professional DSLRs. With the RX1, Sony fused these two polar opposites in a collision of photo-epic proportions. 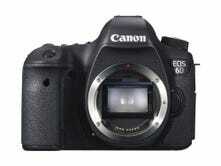 A compact camera with a full-frame 24 megapixel CMOS sensor and non-removable 35mm f/2.0 Carl Zeiss lens. It costs—get ready—$2800. People with a ton of money. It's hard to find fault in the RX1's design. Sony didn't try to break any molds here, it just stuck to what works best. Simple geometry, familiar and direct control layout, and high-quality materials. Perhaps what is most satisfying is the attention to detail. Every button and dial has a wonderful tactile action. The internal design is something to note as well. 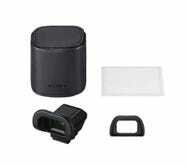 Part of the reason the 35mm Zeiss lens cannot be switched out with other lenses is because the optics extend into the body of the camera, interfacing perfectly with the sensor. Walking around with the RX1 provides a unique satisfaction. There's something comforting in knowing that this tiny camera doesn't compromise image quality whatsoever. Sharpness & low light performance are downright amazing, with the specially designed Zeiss lens capturing awesome levels of detail. The lens can also focus extremely close (14 cm) to objects—an underrated feature—expanding the versatility of the camera. The controls are intuitive for the manual-inclined shooters out there, with tons of customization options at hand. Manual focusing is assisted by peaking and image magnification which work great. The only other quibble we have with how the camera works is the below-par auto-focus system. Sony's more recent hybrid auto-focus system found on the newer NEX cams was probably developed too late to be implemented on the RX1. But that's no excuse. It doesn't feel good to have such an outstanding and expensive device with so-so auto-focus capability. The wondrous feeling of capturing such unabashedly great looking images with such a tiny camera. It makes you think of the future. Though, at the same time, it makes you realize that camera manufacturers are willingly not perpetuating this type of product simply to protect their markets. It is too expensive for absolutely anyone—save the vastly wealthy—to consider. It seems that even a camera like the RX1, built with manual operations in mind, can't get manual focusing completely right with regards to ring sensitivity. As in most cameras, it takes way too many turns to make focus adjustments, and slows down the process considerably. A separate lens ring is used to switch into macro-focus mode. It takes some getting used to, and is the only part of the control scheme we weren't crazy about. One detail we absolutely adore about the RX1 is that the shutter is almost completely silent. Video quality doesn't impress, which is a darn shame. This could have been a killer B-camera for DSLR video shooters. If you're swimming in money and love photography, definitely buy the Sony RX1. Is there any argument for it as a practical purchase? It would be a stretch. The cheapest new full-frame DSLR (currently the Canon 6D on Amazon) paired with a high-quality 35mm lens will run you around $3000. So technically, the RX1 is a slightly cheaper option. But without the ability to change lenses, you are severely limiting your photographic options, and there is no getting around that. 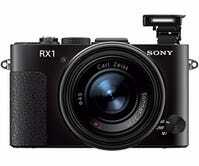 It will be interesting to see if Sony goes forward in developing future iterations of the RX1. 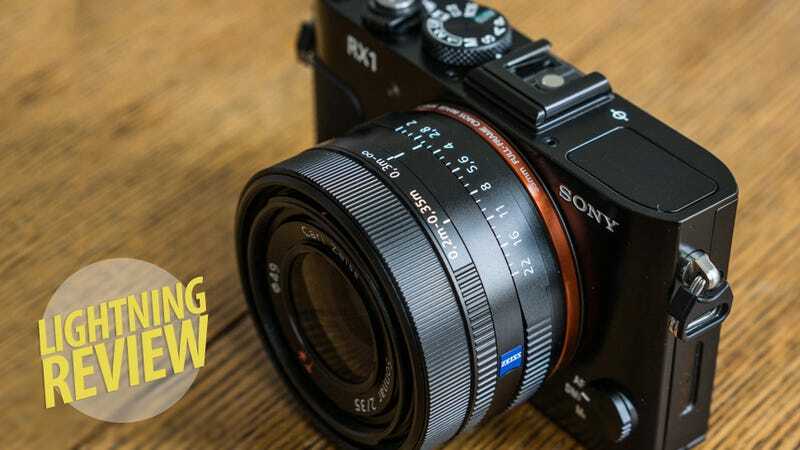 There are many rumors swirling of Sony developing a full-frame interchangeable lens camera slated for 2014, and if that happens, the RX1 might live on only as the wonderful experiment it is.